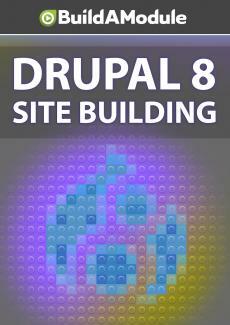 Solutions for chapter 13 of "Drupal 8 Site Building"
And here are the answers to the quiz questions. Question one, pages are not cached for anonymous users. True or false? The answer is false. For anonymous users, all of the pages are cached. Question two, what does the default search allow you to do? Check all that apply. And the answers are B and C so you can change the impact of different fields on the search score and create new search pages but to select which content types are searched by default, you have to use an alternative. In this case, we used Views and there weren't any settings to change the output of the search results though it could be an interesting challenge for you to see if there's any way to do this without using Views. Question three, BigPipe does what? And the answer is C loads cached content first, then uses Ajax to load the rest. Question four, content is indexed for search immediately after being created. True or false? And the answer is false. We have to wait for the Cron script to run before that content is indexed and ready to be searched. And finally, question five. What's the best way to display a view's exposed filters in two different places on a page? And the answer is C. You put exposed filters in a block and add that block to two different places. Now, let's take a look at the solutions for the challenges. So the first challenge was add Staff to the content types that are searched by the new search form. So our new search form is created with Views so let's go back to Views. We'll go to Structure and Views. We'll search for Search and Edit and so we need to adjust the filter so let's click Content Type and let's add Staff and click Apply. Now, if we save this and went to our search page and we type in Phil in the search form, we'll now see Phil's staff node show up here. Alright, challenge complete. Let's roll back our changes. We'll go back to the view and go to our Content Type filter and uncheck Staff and click Apply and then save this. Our next challenge was to add our CSS Injector CSS to our aggregated CSS and prove that it decreased the number of files in the Network tab of the browser. Okay, let's go to our CSS Injector page. So we have two different CSS Injectors. The one for the Blog Entry right now displays for all pages and the Calendar only displays on the Calendar page.